After being in an auto accident, it can be difficult to think clearly. But there are important steps you should take. One of the hardest things to do after being in a car accident is to think straight. 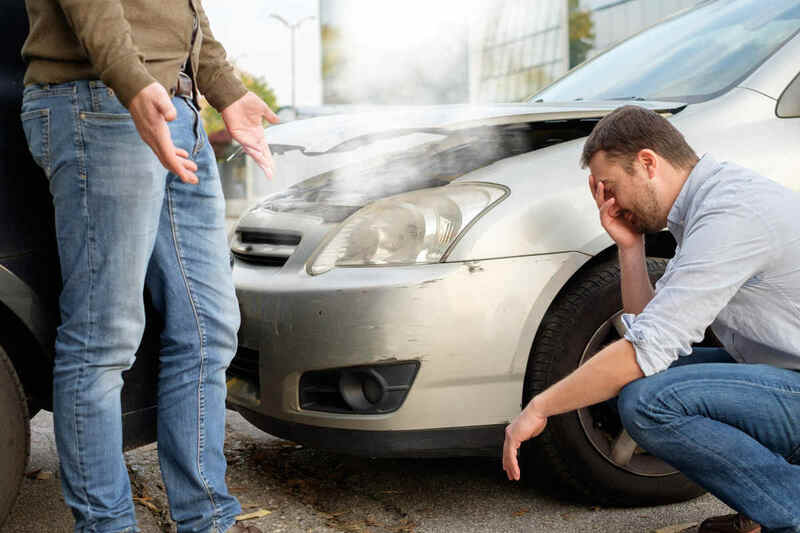 After a traumatic event, whether it is a fender bender or something more serious, there are critical steps that you must take to ensure that you can recover for any damages, both bodily injuries and property damage. Having a checklist in your glove compartment will help to make sure that you get all the information necessary when you might not necessarily have your wits about you. Getting the help of a St. Louis auto accident attorney is also an excellent idea to protect yourself. Even if you think that it wasn’t anything serious, it is important that you stay at the scene until law enforcement arrives. Insurance companies will need to have an accident report to ascribe who is at fault and to sort out the details of the case. Making sure that you have a police report including names, addresses and insurance information is imperative, so make sure to stay put. Even though a police report will have all the information, you will want to get a list yourself of all the people who were involved in the accident. That includes the drivers name, number, address and insurance carrier as well as the license plate number. If there were people who watched the accident happen you will want to get their account of the accident in writing. Ask them to wait for the police if possible and make sure to get a recount of what they saw so that you know all sides of the story. When exchanging information make sure that you don’t admit any fault or say anything about what you did. Saying “I’m sorry, I didn’t see the red light” can do a significant amount of damage. So, it is important not to give too much information about what happened, especially to other people involved in the accident. Make sure to take pictures not just of any damage done to your car or property, but also of the location of the accident. Pay special attention to things like traffic lights or signs and try to get pictures from several angles to get a good overall plan of the scene. Even if you think that it wasn’t anything serious, you should seek medical care when offered. If you should have injuries in the future related to the accident, you will need to have the documentation to prove that they were caused by the collision. Don’t underestimate potential problems down the road from things like whiplash, joint pain and internal damage. It is always better to be safe than sorry. Make sure to initiate a claim immediately and talk with your insurance company. It is also a good idea to consult a St. Louis car accident attorney to ensure that you have someone in your corner after being in an auto accident. It is critical that you have taken all the necessary steps to recover for any injuries or damages and that you know what your rights are. If you or someone you love have been involved in an auto accident, you no doubt have questions and concerns. We will provide answers to your questions and relieve the stress following your car accident. Call us today at (314) 361-4242 or fill out our online contact form to request a free consultation.